Firsty, I’m not sure it needs to be noted, but there are spoilers here. If you’ve not watched the movie and wish it to be a surprise, you may want to move along. 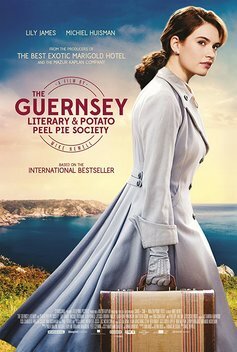 I read The Guernsey Literary and Potato Peel Pie Society several years ago, and recently was inspired to reread it when I saw a preview of the movie. You can read my review of the book here, which includes some background information on the authors. This is one my absolute favorite books, and I am satisfied with the movie–though it was changed up a little from the book. Below I have noted some of the changes. — Amelia is an antagonist. Instead of receiving many welcoming letters before leaving for Guernsey, Juliet merely sets off after a couple from Dawsey, and no one was expecting her. Amelia, in the movie, is not happy to see her–a stark deviation from the book. This seems to be necessary to the movie’s plot because they’ve created a slightly different take on Elizabeth’s child, Kit. — The entire story line of Remy is absent from the movie (although I have read that her name is visible on Juliet’s notebook during her research scenes). Instead, it focuses on Juliet’s relationship with Mark as the main conflict. Additionally, Dawsey’s reticence from the book does not translate well on screen. While readers may understand his quietude, it may not be so obvious to the movie-only audience. — Also absent is Juliet’s friend (and Sidney’s sister), Sophie. This was probably for the best, as Sophie’s existence in the book is basically a way of telling Juliet’s past, which is greatly skimmed over in the movie. Nothing is known of her life except that her parents had passed away at some point, and even seemed pointed toward the war being the reason via a conversation she had with Amelia. The fact that Juliet’s love of books, in fact her very life is based around books, is not explored in the movie–a huge letdown for readers. — Yet another character lacking in the movie is Sidney’s new secretary, who plays a major role in one side-story (Isola’s Oscar Wilde connection), but as said story line is also absent from the movie, her inclusion doesn’t seem necessary. In addition, there are several Guernsey letter-writers not included, bringing the Society members to a tidy number that was easier to portray (I am assuming). Even with all these changes, I liked the movie very much. The entire cast, to me, is pitch perfect and I loved the fact that they expanded on Eli’s character as much as they did. I realize much of the book material could not be translated easily to the screen, and I think they did a fairly good job of touching on the overall theme. I will recommend this movie, but with a stern reminder to read the book as well, as it has so much more depth. Hi, I really enjoyed your review! I just finished my own about the book and movie…I did not allow myself to read any reviews until I wrote my own and yours is the first I’ve read. What an outstanding story. Thanks for sharing your thoughts! Here is my blog post if you’d like to read it. 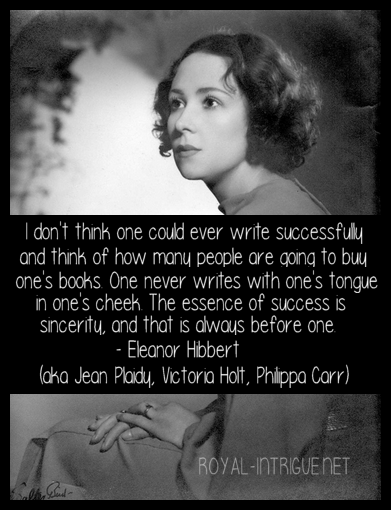 Totally agree with your comments re book v. Movie.I enjoyed both. After seeing movie looked and found book which I read and further referred the same to my Book club,( the Bonnie Doon community book club) and we will be discussing next meeting.